Looking for Tooele homes for sale? 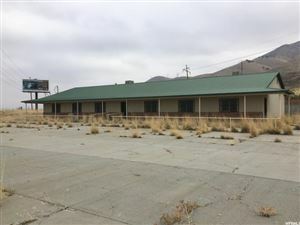 See our Tooele property listings on our website. My name is Olivia Pelton, Realtor® with Ranlife Real Estate. As a Home Sales specialist for Tooele Utah and surrounding areas, it is my mission to provide a comfortable experience for you in your home and property search. If you are looking for a home in the Tooele Utah Area, give me a call at 801-550-1723. I'm happy to help you find the right property! Finding the right home at the right price can be an easy choice when you see what we have to offer. To view Tooele Homes on our Utah Homes Sales listings, click on any of the Menu buttons above to go to our main website. We want to thank you for visiting our Tooele web page. At our Utah Homes Real Estate Guides Sitemap website we offer help for anyone looking for a home or property in Salt Lake or Utah County. Our company, Ranlife Real Estate has been selling homes and properties in the Utah area since 2001. See all Real estate in the city of Tooele. Looking for a Tooele Utah Home? We have some great homes listed in and around Tooele Utah. When you click the Listings link above, it will take you to our Utah Home Sales listings page. We can also help you navigate through the MLS listings when you are interested in a broader search. We have some articles throughout this site that can help you see the benefits of purchasing your home with the assistance of a Realtor instead of on your own. Whether you are looking for a home, land or other property in the Tooele Utah area I am here to help.